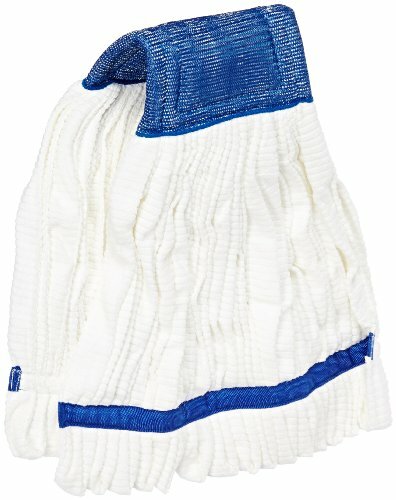 Microfiber tube wet mop with mesh headband. Very absorbent. Minimum five times the launderability of traditional yarn mops. With microfiber, less chemical is required. The textured finish loosens and holds dirt until washed. Priced competitively with traditional blended looped yarn mop heads, yet out performs traditional mops in both cleaning and durability. The mops have wide mesh headbands. Mesh headbands are textured for scrubbing. Large, white color.